Welcome to the ALS Community Forum! Please use this opportunity to join the conversation and share information and resources. It is designed as a space where users can get to know each other on line. It is a place for those with common interests to learn what each is doing and perhaps discover ways to work together. Earn a badge for your participation! When you join the Forum, you’re a part of the ALS networking community that seeks to help other leaders in Africa through asking, answering and just conversing. As a valued member of the Forum, you will be able to download the Community Member badge upon sign up that you can use on social, blogging and your own website. All we ask is that you link back to the ALS website and give others the opportunity to join our community. If you have a topic you feel would benefit the ALS Community Forum, please suggest it here for consideration. This topic includes various resources for information regarding Angola that are outside the scope of the Africa Leadership Study focus. Information specific to the ALS in Angola is included on the “About Page” and the “Data Page” of this website. If you are interested in studying and understanding Scripture these resources may be useful. Various languages are represented. In some cases they are written by Africans or built on African scholarship or include commentary or study notes by Africans. The original survey gathered data that could be the basis of further research. Because the ALS had limitations, we could not explore all the possibilities. There are several topics that could be built around the SPSS data lists. The names of individuals and organizations that were identified as having a high level of impact are included under the Resource Topics “Developing Leaders” and “Developing Organizations”. Any one of these could be the focus of further research. One potential idea would be research on the preaching and pastoral lives of leading high impact African pastors. We will be adding ideas for further research and you can do so as well. This topic includes various resources for information regarding CAR that are outside the scope of the Africa Leadership Study focus. Information specific to the ALS in CAR is included on the “About Page” and the “Data Page” of this website. There are various associations of Africans, Denominations and Organizations that have resources developed to fit the African context. They may hold conferences or training events and produce materials that grow out of their work together. We have listed links to the ones we are aware of. You may know of others to add. Their inclusion in the list is not to be considered as an endorsement. FATEAC, USB and FATEB held a symposium in Abidjan in May of 2016 entitled “Dieu, la terre, la guerre” (God, the earth, war). Papers were presented addressing these issues that the church in West Africa faces. The papers are available for review here. There are plans for additional symposiums in the future. You may be interested in developing your own leadership skills. We have listed links to information on various schools or educational opportunities across Africa. The fact that they are listed here is not to be taken as an endorsement. See also “Studies on Leadership and Education” Topic. This topic includes various resources for information regarding Kenya that are outside the scope of the Africa Leadership Study focus. Information specific to the ALS in Kenya is included on the “About Page” and the “Data Page” of this website. There are various organizations providing training on the implementation of microenterprise development programs. There are others that provide on hands on skills training in conjunction with preparation for Christian Ministry. There are a wide variety of organizations working to provide many different types of programs for developing and strengthening leaders. 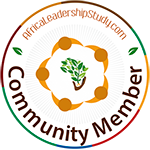 Some of the links on this list take you to organizations identified by Africans as having a high level of impact in the answers to the ALS survey. The details and the reports written on selected organizations are available for download on the “Data Page” of this website. Some are based in the West and many are indigenous to Africa. Some have in depth treatment in the ALS book “Patterns in African Christian Leadership”. One chapter is entitled “African Christian Organizations and Socio-economic Development” and one is entitled “Faith in Action: Patterns of Influential African Christian Organizations”. Publish4All has several Print on Demand systems in place across Africa. They are developing training centers for a more in depth apprenticeship for those interested in this publishing method. Here is information on Publish4All and a list of systems already in place. ALS findings confirmed that there is much work to be done in making culturally contextual literature and digital materials available across Africa. A number of factors contribute to this. There is the ongoing task of developing African writers, editors and publishers. There is also the task of overcoming the difficulties of distribution – of both print and digital materials. They are explored in depth in the chapter entitled “Reading and Leading: Favorite Authors of African Christians” in the ALS book “Patterns in African Christian Leadership”. It will take the efforts of many organizations and individuals working together to address this complex challenge. See also “Training in Writing and Publishing” and “Publishing” Topics. ALS findings confirmed that there is much work to be done in making culturally contextual literature and digital materials available across Africa. A number of factors contribute to this. There is the ongoing task of developing African writers, editors and publishers. There is also the task of overcoming the difficulties of distribution – of both print and digital materials. They are explored in depth in the chapter entitled “Reading and Leading: Favorite Authors of African Christians” in the ALS book “Patterns in African Christian Leadership”. It will take the efforts of many organizations and individuals working together to address this complex challenge. Here is a list of publishers currently working in Africa. Some of them offer books by African authors. Their inclusion in the list is not to be considered as an endorsement. See also “Training in Writing and Publishing” and “Print on Demand” Topics. Many of our ALS Team members teach courses on research methods. Some are developing syllabi and curriculum based on the ALS methodology. We will be collecting this information and posting it on this topic page for those for those who might want to study research methods and for those who may want to use the materials in their classrooms. The Data Page of this website includes the option to download the methodology and protocol used in the ALS research. This is the place to gather and celebrate the projects and research that grow out of the ALS. We anticipate with prayerful excitement the stories, photos and outcomes to be added here. If you receive a Seedbed grant, initiate further research, develop curriculum or training programs or have mentorship experiences to share, we will include a link to your work on this topic page. In order for seeds to grow they need water and nurturing care. We will be developing a process for applying for small seed grants for project development or further research. When the parameters for this are complete, the details will be available here. Perhaps other funders would have an interest in participating. We will also be developing a list of suggested possible projects that grow out of the needs that have been identified through the ALS. There is a high level of interest in the topic of leadership development. Others have been involved in studies or research or the development of training resources. There is an ongoing conversation around the topic of best practices in education. Here we have provided links to the work others have been doing in these fields. You may also know of resources to add here. If you are interested in developing your writing or editing skills or publishing materials we know of two organizations with years of experience and expertise that specifically focus on this. There may be others that you know of that could be added. There may be programs at some of the educational institutions that could be listed. Media Associates International focuses on writing, editing and publishing books. Magazine Training Institute focuses on writing, editing and publishing magazines. ALS findings confirmed that there is much work to be done in making culturally contextual literature and digital materials available across Africa. A number of factors contribute to this. There is the ongoing task of developing African writers, editors and publishers. There is also the task of overcoming the difficulties of distribution – of both print and digital materials. They are explored in depth in the chapter entitled “Reading and Leading: Favorite Authors of African Christians” in the ALS book “Patterns in African Christian Leadership”. It will take the efforts of many organizations and individuals working together to address this complex challenge. See also “Publishing” and “Print on Demand” Topics. The ALS research showed the women of Africa play a critically strategic role in many areas of the church and the community. They can often be unrecognized leaders with great transformational influence. This is a resource to be cherished and nurtured. This topic is treated in depth in in the chapter entitled “African Women Leadership: Realities and Opportunities” in the ALS book “Patterns in African Christian Leadership”. We hope many of you will have resources and educational opportunities for women to add to this topic page.